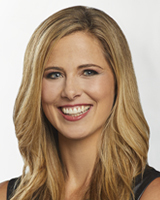 Katherine Scott joined the Action News team in June 2009. As a general assignment reporter, she has covered a wide variety of major breaking news stories in Pennsylvania, New Jersey, and Delaware, including the fatal duck boat crash on the Delaware River in 2010, the deadly Center City building collapse in 2013, the aftermath of the 2015 Amtrak train derailment in Port Richmond, and the riot at Delaware's maximum security prison in 2017 that claimed the life of a corrections officer. She was on Ben Franklin Parkway when Pope Francis celebrated Mass from the Art Museum and was there for the Democratic National Convention in 2016. Katherine has followed many high-profile court cases, sitting in trials for Bill Cosby, former Pennsylvania Attorney General Kathleen Kane, disgraced Philadelphia District Attorney Seth Williams, and former Pennsylvania Congressman Chaka Fattah. If there's wild weather, Katherine will cover it, including nor'easters, blizzards, and Superstorm Sandy in 2012. She also loves telling stories about all of the wonderful things happening in our local schools and community centers. Before arriving in Philadelphia, Katherine was an anchor and reporter for News 12 The Bronx and Brooklyn, worked at the Athens Olympics, and was an NBC Page. A New Jersey native, Katherine graduated from Harvard University with a B.A. in Anthropology. At Harvard, Katherine was the captain of the Varsity Field Hockey team. Katherine and her husband are the proud parents of three beautiful children. A father and son were shot after walking into their Philadelphia home while a burglary was in progress, police said. Police are looking for a man who they say stole $125,000 worth of jewelry from Macy's in Northeast Philadelphia Tuesday night.